Just want to run around a scream a little (just a tiny bit). But I am slowly getting everything done and have a fun and busy week ahead of me still. 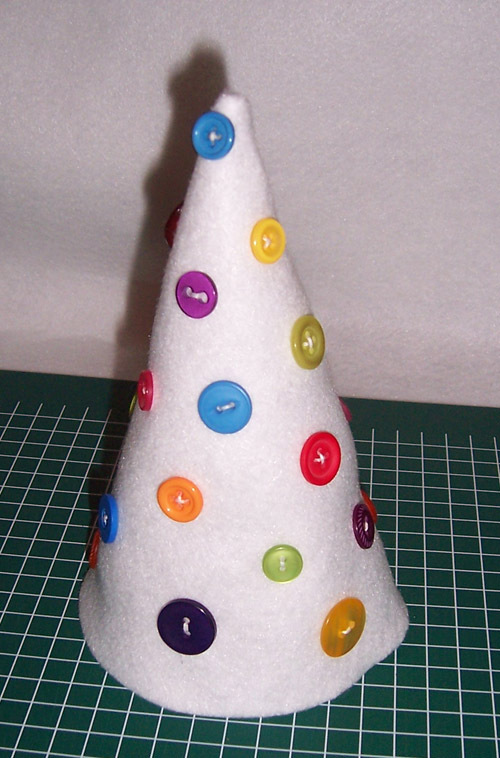 For this weeks tutorial in my count down to Christmas I have a lovely white felt Christmas tree decorated in beautiful colourful buttons. It looks just lovely with one of those “fake” tea light candles inside of it. 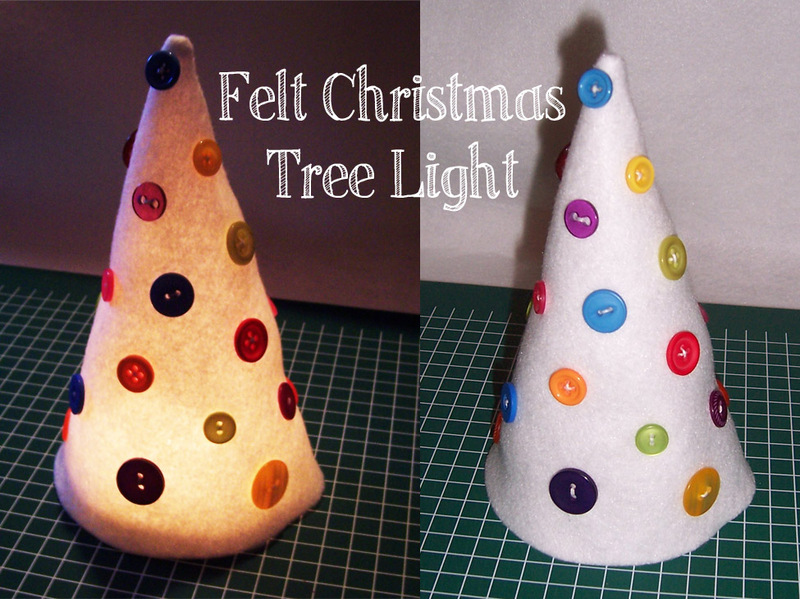 Pick through your buttons and lay them out on your tree. Keep about 1cm in from the edges so you can sew it closed later. 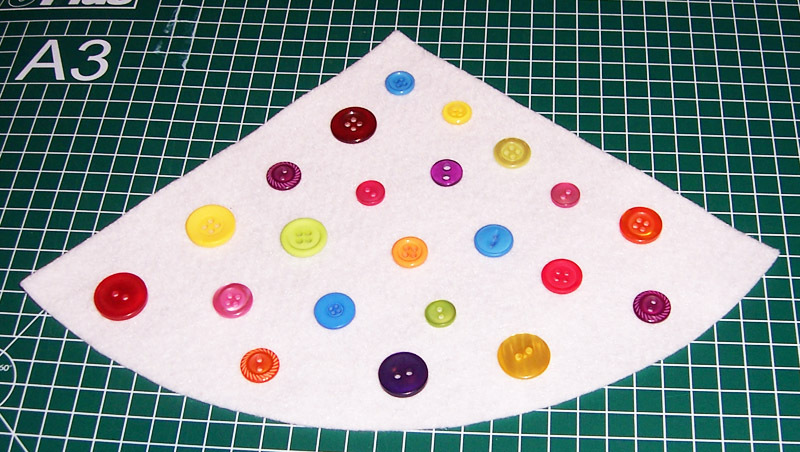 Carefully move the buttons off the felt, keeping them in the same pattern (you can take a photo which helped me get them back how I wanted them). Sew each button onto the felt tree. Fold your tree in half (with the buttons on the inside) and pin it along the edge. 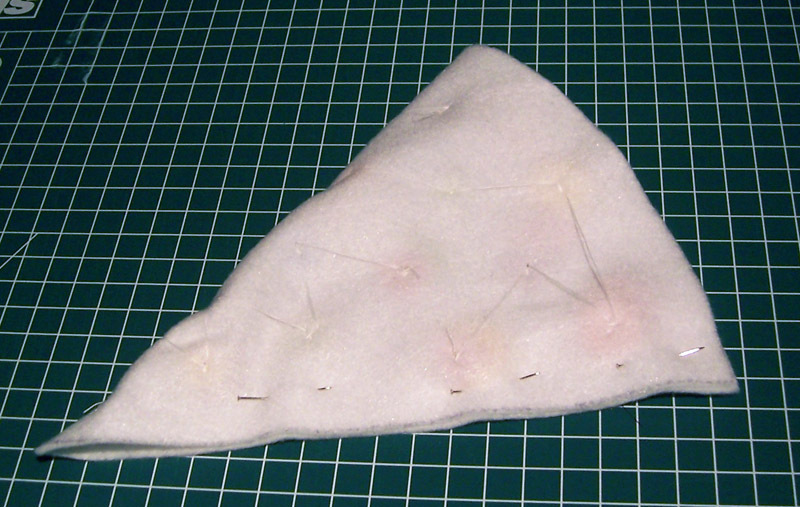 Sew down this edge, I suggest doing this by hand because the buttons can get in the way a little. Turn the tree right way out, you may need a pencil to get the tip to turn out fully. And your Christmas tree is ready to look all pretty!! Please note, do not put a real tea light candle inside the tree, you don’t want your tree to catch fire!! Come back next weekend for another great Christmas tutorial!! This entry was posted in Christmas, Christmas 2012, Christmas Tutorials, Felt, Seasonal, Tutorials on November 18, 2012 by Handmade Cuddles. Love this project! Very nice!